This is about one of the most crazy things that i will ever do in my life. Well.. at least for now. I am actually going to an audition to be a Disney character at Disney Land Paris! I don't know why i am doing this, but it is so crazy and unlike me to do this, that i just have to do it! 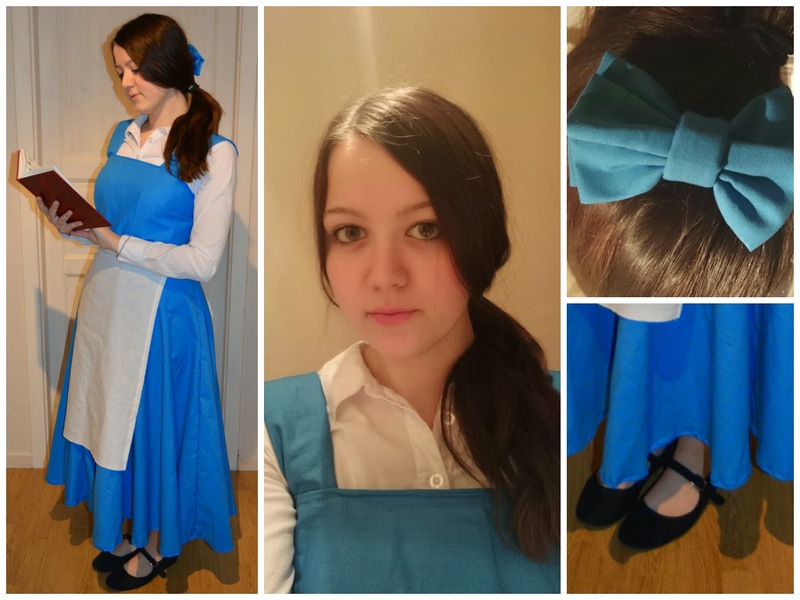 I'm going to try for a part as Belle from Beauty and the Beast! The last week i have been working on the dress for this audition and i have never made anything like this before. I have made a few teddy bears or so, but not a dress. I made it without template so i had to cut a few cm of the skirt part, becuase i am apparently really bad at math... But i made it and im proud of myself. I am going to the audition the 11th so wish me luck! Because i have no idea about what im doing or going to do. They don't really tell you anything.